Over a 3-day period in June, ICC students participated in a fun, exciting, and educational event – a water rocket contest on the RDFZ soccer field. 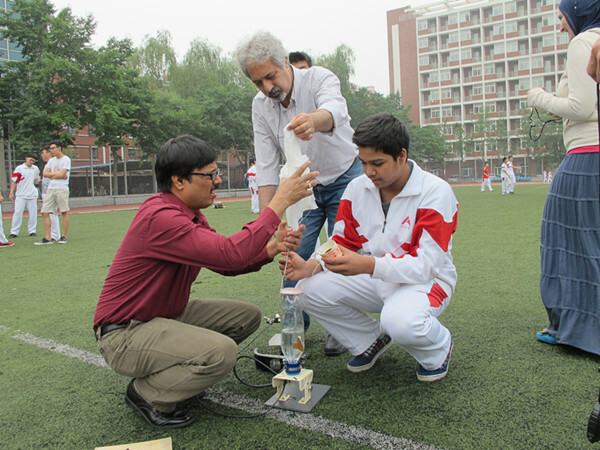 During lunch period on June 16-18th, students gathered together under the watchful eyes of numerous ICC teachers to test their newly designed, recycled-soda-bottle-rockets and compete for the “longest hang time” award. The ICC Physics teachers who sponsored and organized the event clocked the rockets from the time of blast off, to the time they gently (or in some cases, not-so-gently) parachuted/landed back onto the earth’s surface. Students and teachers watched excitedly from the sidelines as countless rockets lifted off into the stratosphere (sometimes over 50 meters into the air!). As the contest came to a close on the 18th, the winning team of Peter Chen, Carl Cao and Sunny Chen from S2C2 celebrated their victory and the remaining teams were already talking about next year. Physics in action! 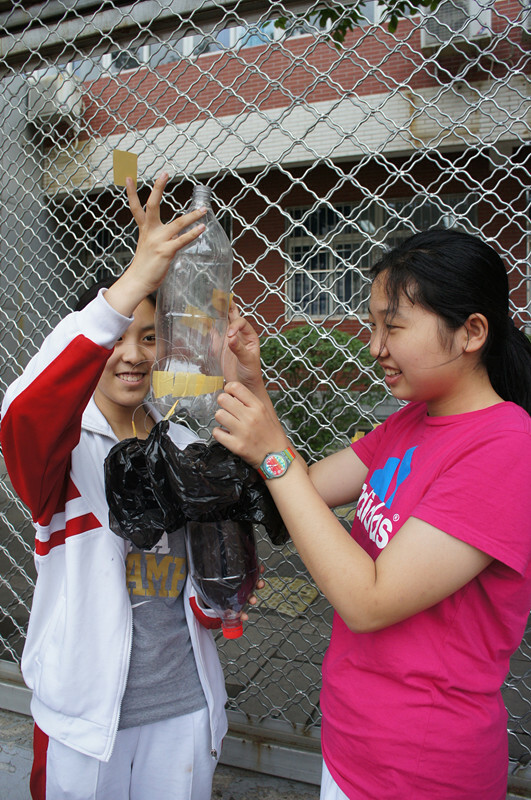 Wendy Xia (on left) and Alice Li prepare their rocket for blast off.